I'm in Spain for DebConf, and gave a talk on Sunday which seemed well received. On Monday there was a trip by bus to Valle del Jerte, a few hours away. In the nature reserve there, we hiked up to Los Pilones, a great series of pools, carved out of the rock and connected by little falls and natural water slides. The water was clear and each pool had its own character, some with little grottos, which I had a lot of fun exploring. I'd have happily stayed longer, but we left to rejoin the group who hadn't taken the hike, in Jerte. 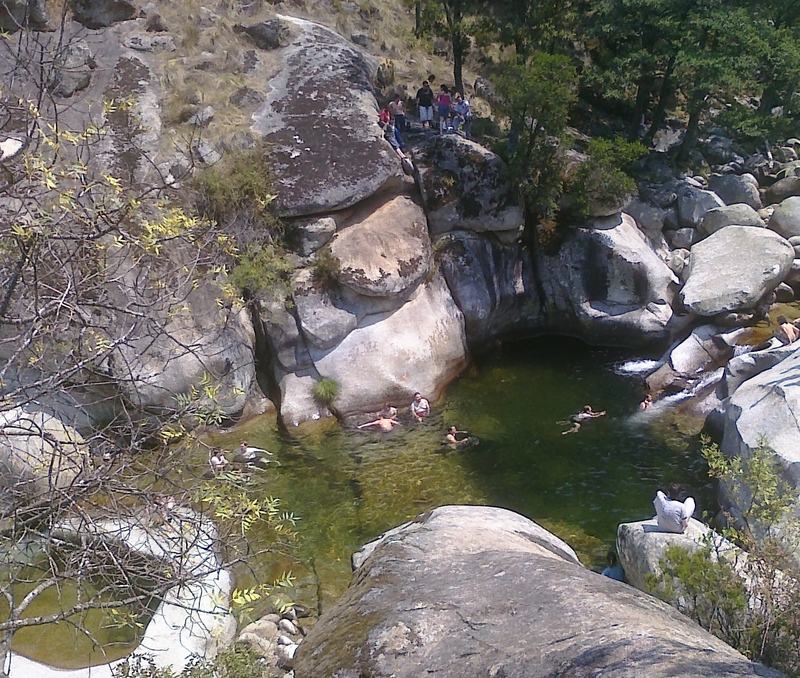 There was an outdoor pool there, and I took another dip, just to wash off after the hike. I'd barely gotten in though, when I hurt my toe on something in the rocky bottom of the pool. It wasn't until I got out that I realized I'd cut two toes and was bleeding impressively. Lots of Debian people took over then, and got the bleeding stopped and an ambulance called. In the end, it wasn't too serious, just 4 stiches needed. So I also got to experience part of Spain I'd not been expecting to, and can compare healthcare systems firsthand now. And they got me out of there in time to get picked up by the last bus, so it's all good, I guess.